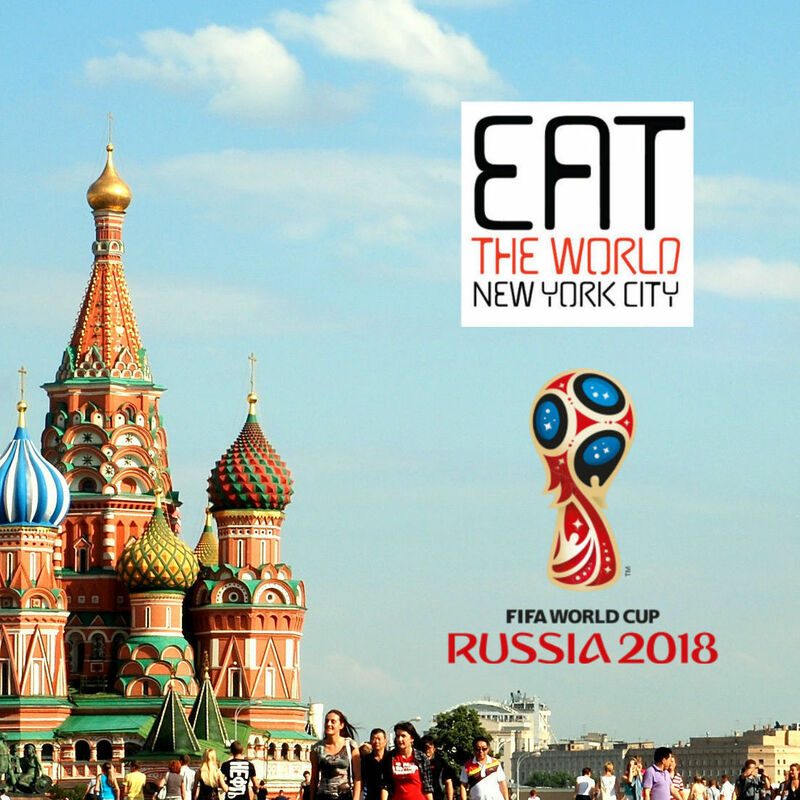 My crankiness about Malaysian food in New York City has been called out by readers of this blog in the past. I admit it, I'm not as happy as I want to be when it comes to finding authentic Malaysian when I want it. 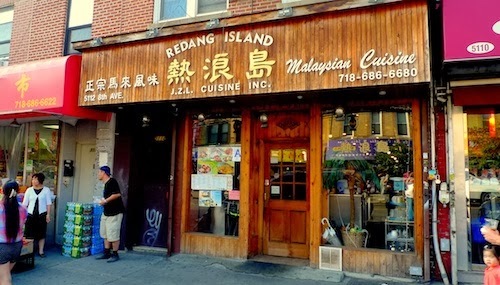 At least for a night, that all came to an end with my discovery of Redang Island in Sunset Park. The menu does have that heavy Chinese tilt that upset me noticeably in the past, but also has a robust number of Malay dishes that were new to my eyes. Besides the standard roti canai ($2.50), what jumped out at me the most from the appetizer menu was the lobak ($7.95, below), a collection of mince meat and pork rolls served with fried tofu and shrimp pancakes. The plate was much more than we expected for the price, and the rolls were some of our favorites. 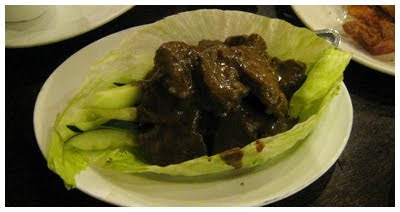 The beef redang ($8.95, below) is curry-based and hints coconut although very subtly. The chilies don't exactly make it spicy, but certainly flavorful. We made it disappear quite quickly from it's lettuce plate. The most beautiful dish of the night turned out to be the least tasty, unfortunately. 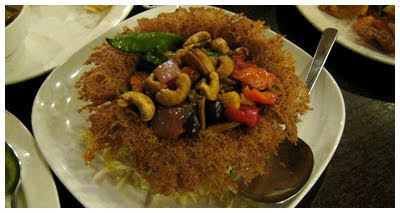 The sarang burong ($10.95, below) is a fried round "basket" of taro filled with chicken, a couple pieces of shrimp, plenty of vegetables, and cashews. The taro is worthy of picking apart, but the contents were under appreciated when cooked and on a whole are nearly tasteless. After your meal is scarfed down, you might notice how the entire place could easily be a sauna if the heat were turned up significantly. Good thing it is not though, as the full stomachs mixed with high heat would most certainly lead to inappropriate napping. 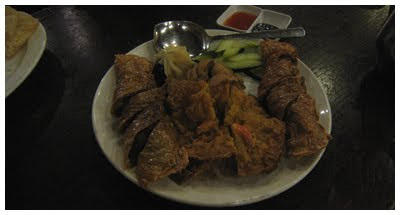 You complain of a "heavy Chinese tilt" in the Malaysian restaurants, yet two out of the three dishes that you single out in your review - lobak and the taro basket - are Malaysian Chinese dishes!